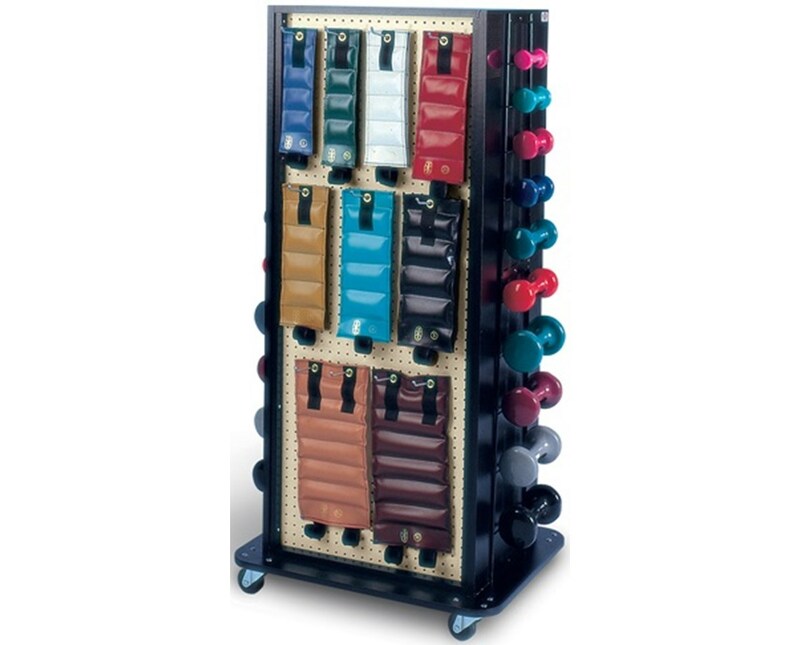 The Hausmann Industries Multi-Purpose Weight/Storage Rack is a versatile medical storage device designed with a pegboard on the front of rack for cuff weights, hooks for the dumbbells on the sides and a storage cabinet for assorted exercise equipment or objects on the back. Awesome Design. 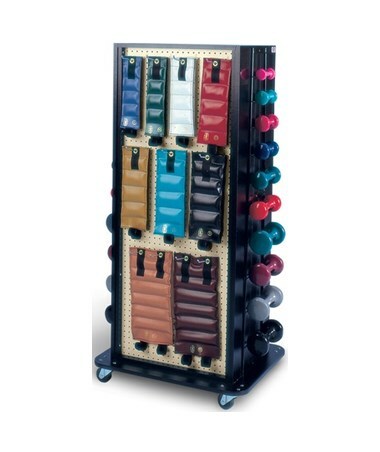 Featuring an almond coated pegboard, the Multi-Purpose Weight/Storage Rack has a durable black laminate finish and can hold up to 16 Hugger® Weights. 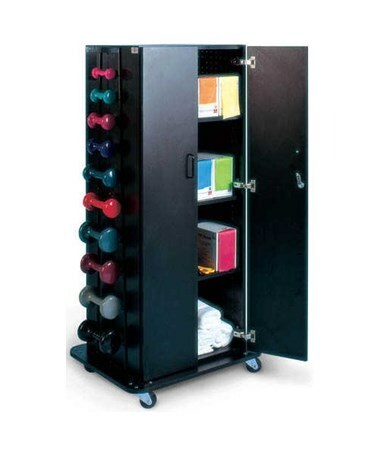 On the back side of the weight rack, it features a two-door storage cabinet with a lock which has doors that have 165° self-closing Euro-hinges, two (2) adjustable shelves, and one fixed shelf. It includes eleven pegboard safety hooks and twenty (10 on each side) dumbbell hooks. Hassle-free Movement. Mounted on 3" diameter swivel casters, the Weight/Storage Rack can be moved around the physical therapy or rehabilitation facility easily. The weight rack's base plate is covered with a bumper "T" molding on all four sides to prevent damages on the rack during transport.